This weekend should be mostly sunny with temperatures in the mid-50s before the rain returns next week. Bring your teen to learn about a career in engineering at the Library. Meet an Engineer at Seattle Public Library Northeast Branch, 6801 35th Ave NE. 6:30-7:30 PM. No Registration required. FREE. Teens (12 and older) can meet a computer engineer from the UW Center for Game Science as well as a Civil and an Electrical engineer. Organized by the Seattle Public Library and the Pacific Science Center in honor of National Engineers Week. Take your tot to storytime with Music, Rhythm, and Movement. Musical Storytime at Ravenna Third Place Books, 6504 20th Ave NE. Every Friday, 11-11:30 AM. FREE. Presented in partnership with Jewish Junction and PJ Library. Play board and card games among friends. Games will be available or bring your own to Game Night with GeekGirlCon at Wayward Coffee House, 6417 Roosevelt Way NE. Second and Fourth Friday, 7-11 PM. No Cover. Sample wines from The Eyrie Vineyards at your local wine merchant. Wine tasting at McCarthy & Schiering Wine Merchants, 6500 Ravenna Ave NE. Every Saturday, 11 AM-5 PM. FREE. Entertain the kids with storytime. Get some help fixing a broken household item. Fixer’s Night at the NE Seattle Tool Library, 2415 NE 80th St. First Tuesdays, 6-9 PM. FREE. 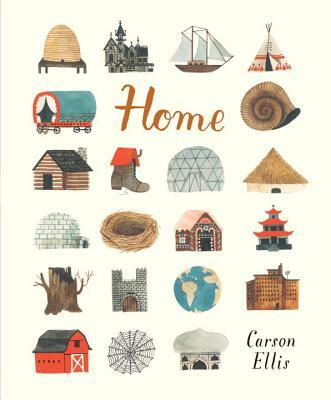 Meet award-winning illustrator and children’s book author Carson Ellis. Author Event at Ravenna Third Place Books, 6504 20th Ave NE. 7-8 PM. FREE. Anything else to add? Garage sale? Fundraiser? Lemonade stand? Let us know in the comments, and we’ll add it to the post! Want to promote an upcoming NE Seattle weekend happening? Email us ahead of time, or use our online comment form to tell us about it. We publish these Busy Weekend posts at noon on Thursdays. Bull Moose Festival this Saturday! Roosevelt’s Bull Moose Festival is back! 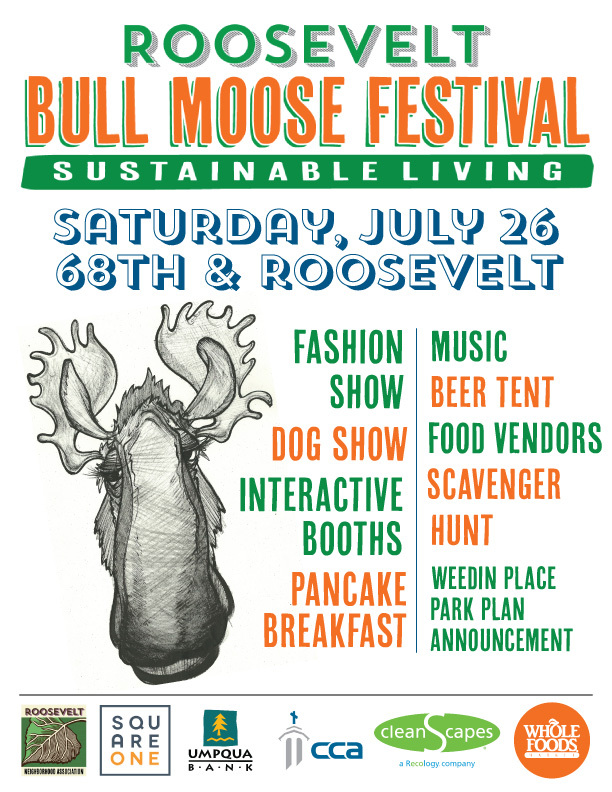 Let’s show the Moose some love and head over to our next door neighborhood’s community party which this year is celebrating aspects of sustainable living. Food, music, beer garden, dog show, fashion show, raffle, and more! In fact, you can print out a raffle card and start getting stamps at participating neighborhood businesses ahead of time. You’ll win a small prize just for submitting your completed raffle card and will be entered in a drawing for $25 prize from the same businesses for things like spa services, food, and fair-trade goods. You can also donate your unwanted textiles in any condition at the festival. Clothes for the Cause turns these recycled donations into funds which will go to the Roosevelt Neighborhood Association. Just bring them in a tightly closed plastic bag to keep them dry. 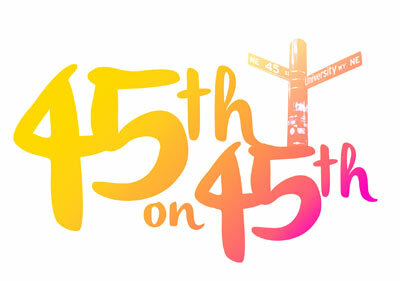 The annual-ish festival is coordinated by the Roosevelt Neighborhood Association. Some well-known traffic trouble spots near University Village are getting some overdue attention next month. 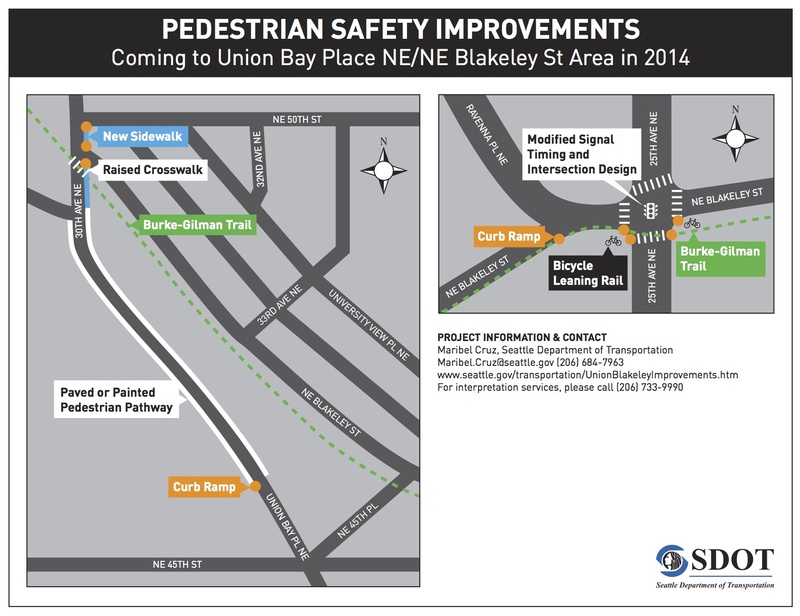 25th Ave NE & NE Blakeley Street: Modified signal timing and intersection design. New bicycle leaning rails* (allow cyclists to wait for light change without dismounting, placing one foot on the rail). 30th Ave NE & the Burke-Gilman Trail: Raised pedestrian crosswalk and repaired sidewalks approaching this crosswalk along 30th Ave NE between NE 50th Street and Union Bay Place NE. 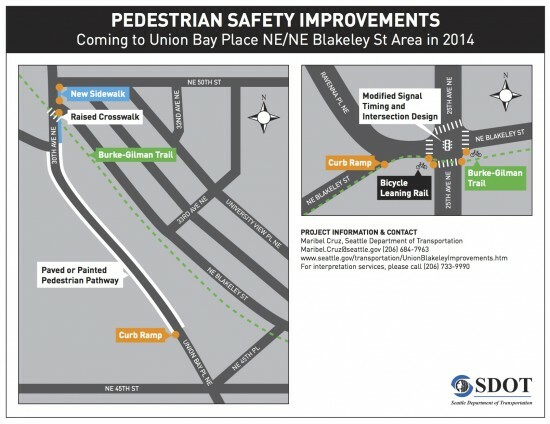 Union Bay Place NE between NE 45th St & 30th Ave NE: New paved and painted pedestrian pathway along both sides. This work is funded by mitigation from the University Village and the Village QFC as well as Pedestrian Master Plan improvements. You can read more about the mitigation funding of this project on page 17 of this SDOT analysis of QFC’s 2012 land use application (208 KB PDF) to expand the store and build a parking garage. Questions? Contact Maribel Cruz with SDOT at 206-684-7963 or maribel.cruz@seattle.gov. *We are looking into the bicycle leaning rails to find out more about them (and see if these will be the first ones installed in Seattle). We will update the post as we learn more! The rumors are true! Toronado coming to Roosevelt. Rumors have been swirling about the legendary San Francisco temple to microbrews, Toronado, getting a new location here in Seattle. Opening day is in roughly two months. 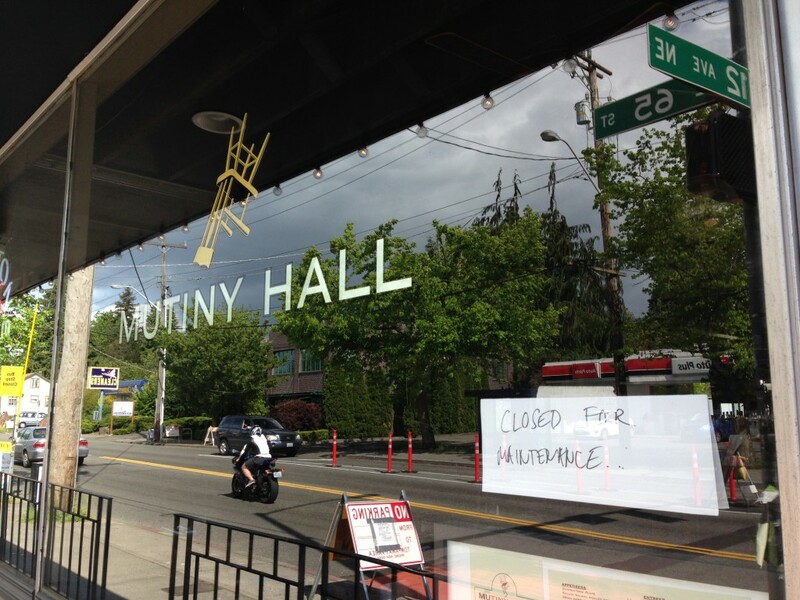 Saturday, May 17 seems to have been Mutiny Hall’s last day of business in its current configuration. A hand-written “closed for maintenance” sign was posted in the following days, and the restaurant has been closed ever since. Matt Bonney, co-owner operations manager of Brouwer’s Cafe in Fremont, Bottleworks in Wallingford and the Burgundian in Tangletown [corrected], is the owner of Toronado Seattle. The original Toronado opened in 1987 on Haight Street and has become a legend for its extensive and exclusive microbrew offerings. The second location opened 21 years later in San Diego. While the SF location doesn’t serve food, San Diego serves up burgers, spicy or smoked mac and cheese, a variety of sausages, among other dishes. Weather prediction? Tsunami detection? Sustainable seafood production? The National Oceanic and Atmospheric Administration (NOAA) has you covered. NOAA is an immense government agency, collecting and distributing scientific research and informing decisions that affect our daily lives. But the Western Regional Center of NOAA is in our own backyard, just north of Waren G. Magnuson Park at 7600 Sand Point Way. Friday’s open house is an opportunity to learn more and meet some folks doing this important work. 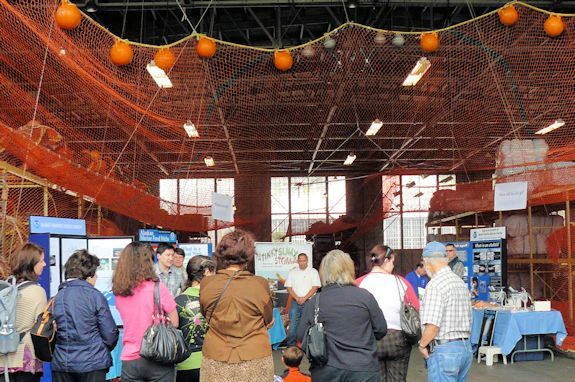 As part of the Seattle Maritime 101 Festival NOAA’s Western Regional Center campus will open its gates to the public on Friday May 16 from noon to 7PM! Come explore the work NOAA in Seattle does to support the maritime industry through weather forecasting, healthy ecosystems, safe waterways, protecting our coasts, and observing our planet. Come visit us for tours, hands-on activities, movies, and the chance to meet NOAA scientists. WEATHER – Take a tour of NOAA’s National Weather Service Seattle office forecast center and learn how meteorologists work 24/7 to forecast the Seattle area weather from the waters of Puget Sound to the Cascade Mountains and everything in between. Tour is 45 minutes and start times are: 12:30, 1:45, 3:00, 4:15, 5:30. OCEAN ANIMALS –This tour includes rare access to the NOAA marine mammal bone scientific collection that includes Orca Whale skulls and a Narwhal tusk! Then continue on to the Fisheries net loft where you will see how NOAA manages fisheries that produce sustainable seafood. Tour is 1 hour and start times are: 12:30, 1:00, 1:45, 2:15, 3:00, 3:30, 4:15, 4:45, 5:30. OCEAN ENGINEERING – Step into NOAA’s engineering workspace where engineers are hard at work building and testing new technology to collect data from our oceans. See the evolution of tsunami sensing moorings and learn how we can now detect a tsunami smaller than a centimeter in the open ocean. Tour is 30 minutes and start times are: 12:30, 1:00, 1:45, 2:15, 3:00, 3:30, 4:15, 4:45, 5:30. RESTORATION WALK (this may also be self guided at any time as well) – Take a walk with NOAA restoration experts and learn what we are doing to restore our campus shoreline on Lake Washington and habitats throughout Puget Sound. You will also learn about the history of our campus and various art installations along the way including the Sound Garden. Tour is 1.5 hours and start times are: 12:30, 2:15, 4:15. Adding to the fun, the PIE food truck will be serving up sweet and savory pies (baked fresh daily) from 12:00-4:00 p.m. and Curb Jumper Street Eats will be serving speciality sliders, sandwiches, and fries from 12:00 – 7:00 p.m.
Meet your neighbors THIS SATURDAY, May 10, in the NW Parking Lot of the University Heights Community Center (NE 52nd and Brooklyn Ave NE) for the Annual U-District Clean Up. 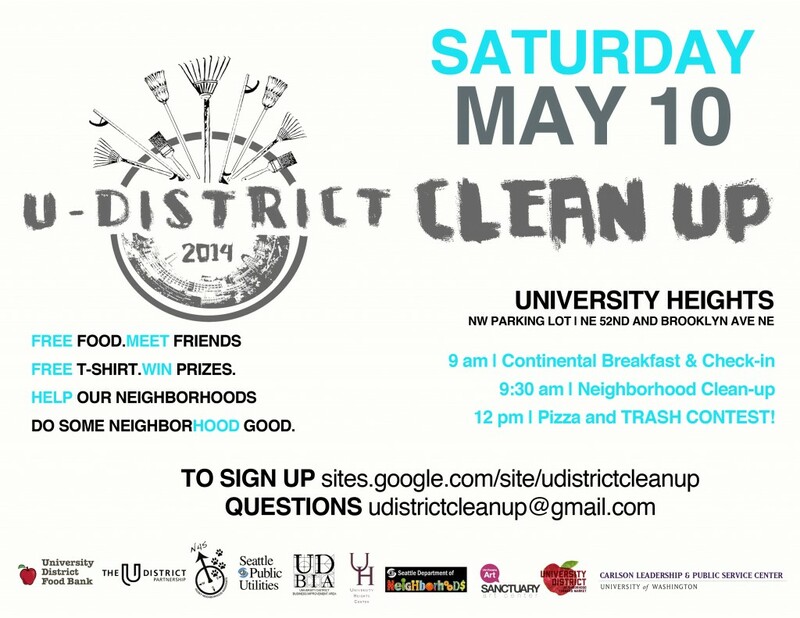 A continental breakfast will be available before you head out for some raking, sweeping, painting-out of graffiti, removing of litter, planting, and/or landscaping. Whew! If you work up an appetite and pizza is your thing, lunch is provided afterwards. And a “trash contest” might just score you four tickets to Bumbershoot, among other prizes. Register for this good work here. Celebrate your hard work getting the Ave into tip top shape by joining the longest running street fair in the nation the following weekend, Saturday, May 17, 10 AM-7 AM and Sunday, May 18, 10 AM-6 PM. Face painting, henna tattoos, balloon art, etc! The Street Fair will close University Way NE between NE 50th Street and NE Campus Parkway from 2:30 AM on Saturday to 2:30 AM on Monday. Bus rerouting has not yet been announced, but we’ll post an update when it is. 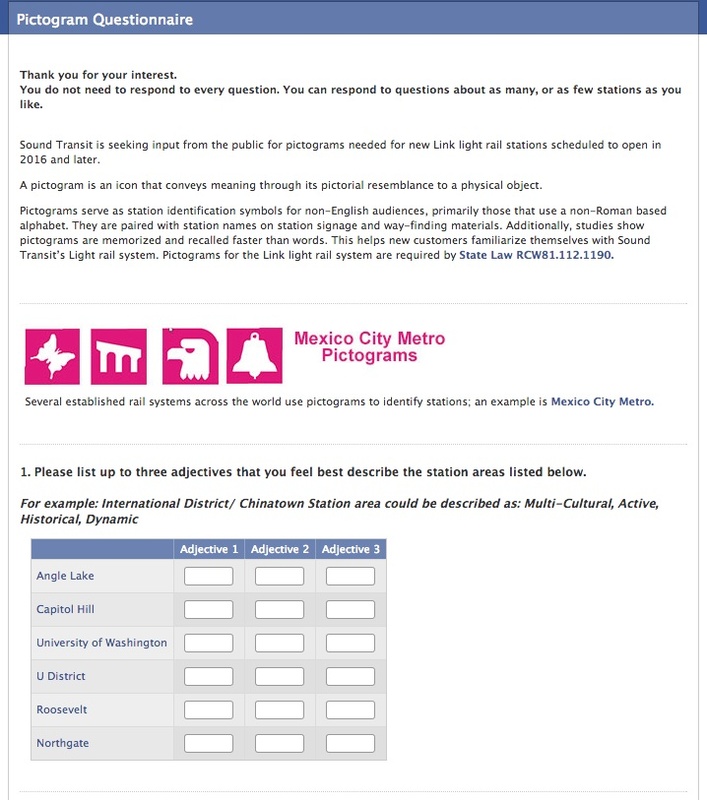 You can also check here for yourself. The University District Street Fair began 45 years ago and was conceived by the late Andy Shiga, founder of Shiga’s Imports (located just south of the University Bookstore), and dedicated peace activist. The fair was created in an effort to to promote peace and heal community divisions during the height of the Vietnam War protest era (HistoryLink.org article). Choose a hand-crafted bowl by a local student or artisan, fill it with delicious food from a selection of neighborhood restaurants, and support families in need in north Seattle. 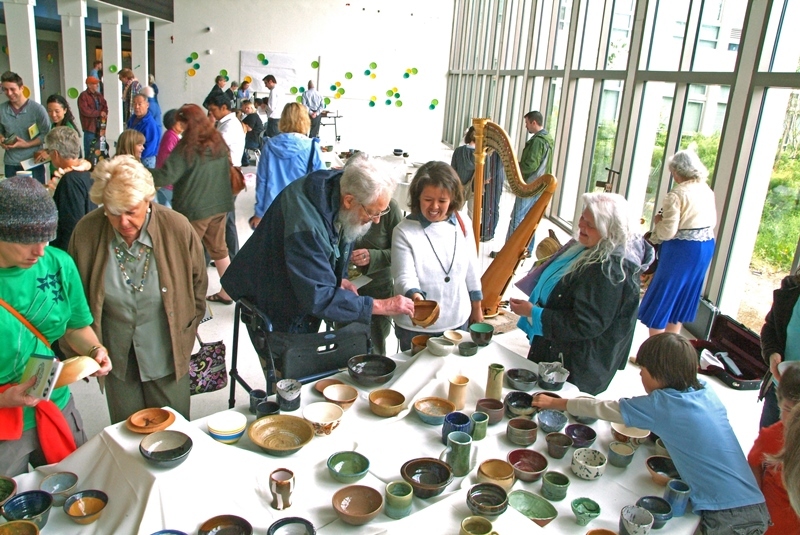 North Helpline‘s 5th annual Empty Bowls fundraiser is Sunday, May 4th, Noon – 3:00 p.m. in The Commons at Nathan Hale High School (10750 30th Ave NE). Soup, salad, bread, and dessert will be provided by a number of local restaurants including Piatti Restaurante, Got Soup?, Wedgwood Ale House, and Kaffeekaltsch. There will also be an extensive silent auction and live entertainment. Tickets are $25 purchased in advance, or $35 at the door. The event is part of the the Empty Bowls Project, an international grassroots effort to raise both money and awareness in the fight to end hunger. The bowl you enjoy a warm meal from and take home with you becomes a tangible reminder of hunger in our community. North Helpline (12736 33rd Ave NE) combats hunger and homelessness in greater North Seattle by providing critical human services to more than 1,700 clients each week. They operate a food bank and health care clinic in addition to offering move-in support, eviction and utility shut-off prevention, help with obtaining a driver’s license or ID, and hygiene packs. Visit the Wedgewood Ale House on Thursday, April 17th and 30% of your order will be donated to North Helpline. 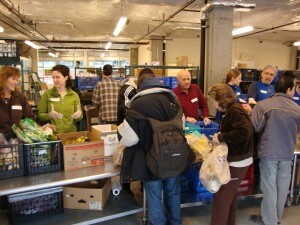 Volunteer to sort or distribute food in their Food Bank, to pick up donations at local grocery stores, or to provide emergency services to clients. Donate food or money, anytime. Eckstein Middle School’s Annual Rummage and Bake Sale is coming up! On Saturday, April 5, from 9 AM – 3 PM, come for the deals, the baked goods, but especially to support Eckstein’s music program. All while accompanied by their award-winning jazz combos! Bring clothing in wearable condition, household items others could use, books and music for fresh ears and eyes to enjoy, furniture in good condition, toys, games and puzzles with all pieces and parts, and sporting equipment for a budding athlete to the Eckstein cafeteria on Friday, April 4, from 1:30 – 4 PM. Please no electronics, unassembled furniture, baby carseats, or strollers. The cafeteria’s exterior entrance faces the garden area in the back parking lot. Monies raised from the rummage sale go directly to the Eckstein’s music program and are used to help offset some of the cost of off-campus music performances (like performing at the Monterey Jazz Festival and bringing home LOTS of awards), repair damaged instruments, and provide scholarship to children who need assistance.